TaylorMade-adidas Golf is at it again. At this week’s John Deere Classic on the PGA Tour and the European Tour’s Scottish Open they are introducing to their staff professionals the SLDR driver. This is really unique design that, as a guess, will be another factor to further enhance their leadership in the metalwoods business. 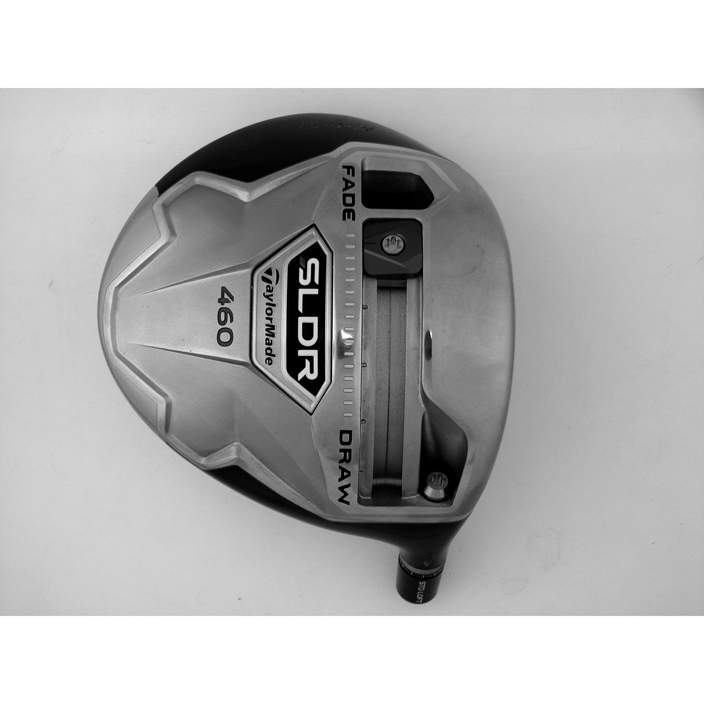 According to Dave Dusek of GolfWeek, who has seen the SLDR, there are three notable features. The adjustability of weight to affect the ball’s side spin, rather than with tungsten weight plugs, is accomplished with a sole weight that slides in a slot running from the heel area towards the toe. This may not be revolutionary on the order of the original movable weights but it certainly makes it easier to adjust the driver to produce a desired ball flight bias. Interchangeable weight plugs do a fine job but are hard to keep track of when not in place and precise weight changes are less exact than with a sliding weight. Dusek also reported the SLDR also is not white, meaning it’s another break in the all-white-crown run TaylorMade has been on since they announced the R1 Black last month. Finally, loft adjustment in the SLDR is done with an adjustable sleeve that looks like the one on the RocketBallz Stage 2 which was introduced for 2013 at last January’s PGA Merchandise Show. If Callaway is to accomplish their avowed goal of regaining the top spot in sales of metalwoods they are now going to have to overcome another apparently brilliant innovation by TaylorMade.